November 7 2014 is the release date for the next iteration of Sports Interactive's sprawling simulation of the economic machinery that surrounds the sport of football. As always, you take charge of a club, refine the team, dictate strategy and navigate the strange and beautiful football phenomenon known as the transfer window. 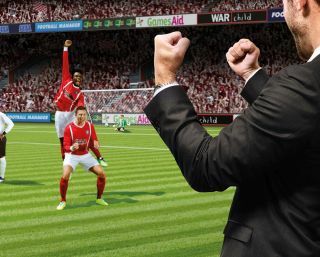 FM2015 boasts a new interface, a new match engine supported by mo-capped players, and a series of features designed to attach more personality to that complex wall of statistics. You can define your presence on the training ground to be a "tracksuit" manager, or a stand-offish organisational sort, and deal directly with players more often. That means "group unhappiness meetings" that can precede a dressing room revolt. To be honest, I dare not dip into the moreish world of FM, especially after reading Iain Macintosh' diary documenting a typical descent into Football Manager madness. Here's a comprehensive video from SI documenting the changes coming to this year's edition. It's... daunting.